Cucumbers, the green vegetable advertised in spa commercials and weight loss ads, are very beneficial. It is one of the best vegetables for the body in the world and the fourth most grown vegetable. 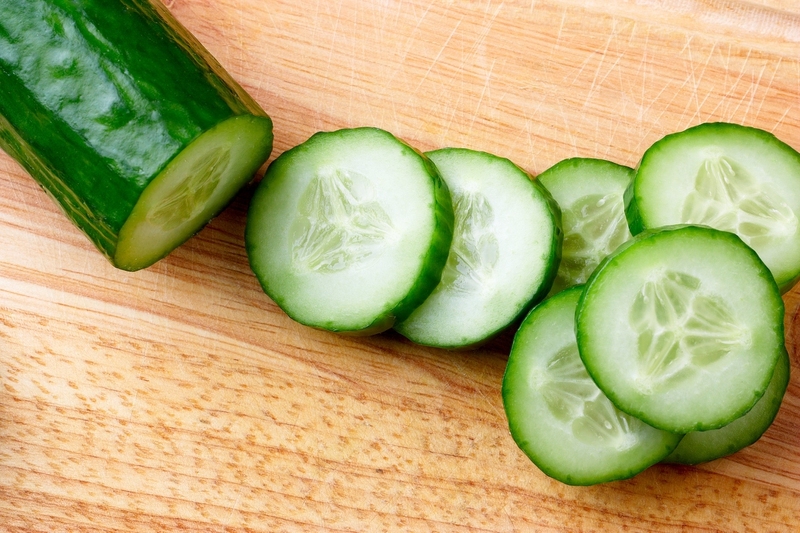 Cucumber calories content is super low, making it the main weapon for dieters' arsenal. According to the USDA, ½ of a meal should consist of vegetables and fruit. For males under 50, this equates to roughly 3 cups of vegetables per day; and for males over 50, the recommended amount is 2.5 cups. Due to the low calories in a cucumber, you should replace fatty, junk food snacks with cucumber. A cup of sliced cucumber has only13 calories and can be eaten with various dips and dressings. Besides, you can add cucumbers to salads, making it more filling but without adding additional calories. This is enhanced with low-calorie dressing with spices and herbs. Lastly, you can also eat cucumber to help lose weight by adding cucumbers into stews, soups and stir fries. The vegetable mixes well into most recipes for its light taste allows it to get the main flavor of your dish. You can also use cucumber to substitute other ingredients that are rich in calories and fat.